West Lancashire Light Railway is Lancashire’s only narrow gauge passenger railway. It runs for approximately quarter of a mile around a fishing lake set in the rural West Lancashire village of Hesketh Bank. Since the 1960’s the railway has grown to include a number of historic steam locomotives, which have been beautifully restored on site. 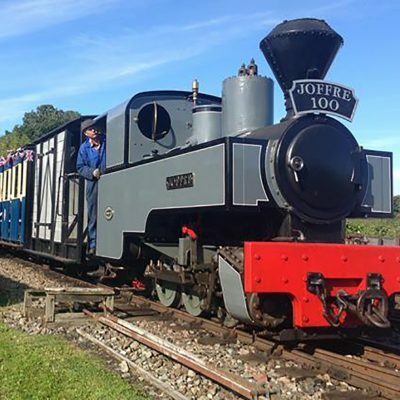 West Lancashire Light Railway offers great family friendly events throughout the year. Look out for their Easter Egg Hunts, Galas, Teddy Bears’ Outings and Santa Specials. Steam trains run on Sundays and Bank holidays between April and October. In addition a number of special events are held annually including; visiting engines, freight trains and live steam model railways. Visit the West Lancashire Light Railway for a great day out!